Philadelphia's Hispanic Heritage Month (September 15-October 15) is jam packed with fun, food and culture. Audiences who were captivated by the infectious rhythms and irresistible charm of the 1999 film Buena Vista Social Club will love the live thing even more. At the Merriam Theatre, the 13-piece Orquesta Buena Vista Social Club features several alumni musicians, including trumpeter Guajiro Mirabal. 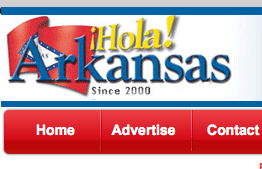 Lear more at Hola Arkansas.com.